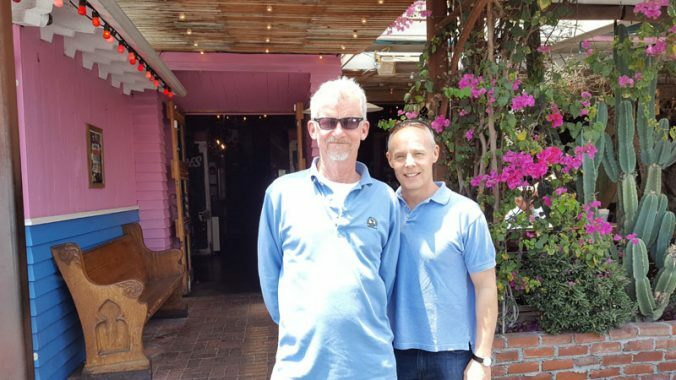 The Los Angeles Visionaries Association (LAVA) has revived its free monthly Sunday Salon series. For their first program, they invite you to South Broadway, to the mezzanine of Les Noces du Figaro, which was recently opened by the family behind Figaro Bistro in Los Feliz. This handsome space was formerly Schaber’s Cafeteria (Charles F. Plummer, 1928), and the mezzanine features wonderful views of the Los Angeles Theatre. In Woody Allen’s 1985 film, “The Purple Rose of Cairo,” one of the characters in the film within the film — a black-and-white drawing-room comedy-romance from Hollywood’s golden age — breaks through the fourth wall and emerges from the screen so he can experience the real world. A new, ongoing series of novels written by Martin Turnbull and set at the Garden of Allah Hotel in Hollywood do just the opposite. They transport readers through the literary fourth wall back in time so they can experience life as it may have been in Hollywood’s golden era. Relying on rigorous period research and a powerful imagination, Turnbull has created a fully realized, unromanticized vision of this bygone world. 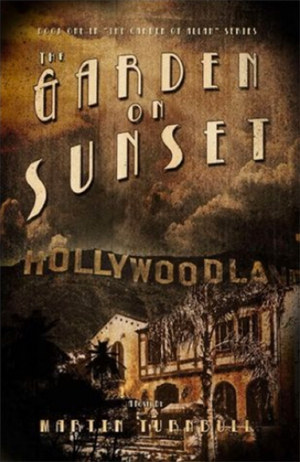 In The Garden on Sunset, the first in the series, we get the glitz and glamour inside the Movie Colony as well as the grit and grime of the grim world outside the Colony’s imaginary gates.